Retired as of 2014, Minnie spent most of her career working for the Provincial government in social housing, community services, and the environment. Minnie helped establish the Cobourg Community Garden Group which supports a community garden in the east end of Cobourg. She is involved in developing affordable housing as a board member of Community Housing Northumberland, and a member of the Affordable Housing Development Group. Minnie is also a member of Community Power Northumberland, a co-op that develops renewable energy. A Green Party member for many years, Minnie is keenly interested in social, environmental and economic justice. Robert Fishlock  is an environmental lawyer and senior legal counsel with the Port Hope Area Initiative project, charged with the cleanup of historic low level radioactive waste in the communities of Port Hope and Port Granby, Ontario. Up until 2012, he was a partner with the national law firm of Blake, Cassels & Graydon LLP, where he practiced for over 27 years in all aspects of environmental law, particularly with respect to the regulation of industrial activities and the protection of air, water and land resources. Robert and his wife reside in the historic community of Port Hope, where Robert was born and raised. He is currently the president of the Northumberland-Peterborough South federal Green Party EDA. He is also a member of the Board of Directors of the Northumberland Land Trust, a nature conservation organization; and Community Power Northumberland, a cooperative that has developed a number of solar energy projects in the county. Gudrun Ludorf-Weaver was an educator for forty-five years in Toronto, and played many roles in education, from classroom teacher to administrator. A mother of three, and grandmother of five, she settled in Cobourg in 2005, after retirement. As a teacher, while developing her skills as a ‘Peace Educator’, she had been introduced to the values of the Green Party and that along with several meetings with Elizabeth May, caused her to become a member of the Green Party. It is the Party’s commitment to addressing and finding solutions to very real challenges and concerns for the future, by putting people and the environment they live in at the centre, that has kept Gudrun involved. These are values that form the foundation of her beliefs and convinced her to run in the 2014 Provincial election. As president of Sustainable Cobourg, an environmental NGO, as a Board Director of both Go Green Together, and Community Power Northumberland, current Green Party of Ontario CA president, as well as one of the founders of the Cobourg Community Garden Group, she has tried to make contributions to the community through these organizations and with the help of a great many other dedicated people. Following her hospital pharmacy career in Durham Region, Patricia retired to her roots here in Northumberland. In 2003, Patricia joined the Steering Committee that enabled the Port Hope Northumberland Community Health Centre to open its doors in 2008. In 2010, Patricia joined the Green Party of Canada and was the 2015 candidate; she joined the Green Party of Ontario in 2011. Green values align closely with Patricia's values: national pharmacare and dental programs; national housing strategy; accessible education; a living wage for all. 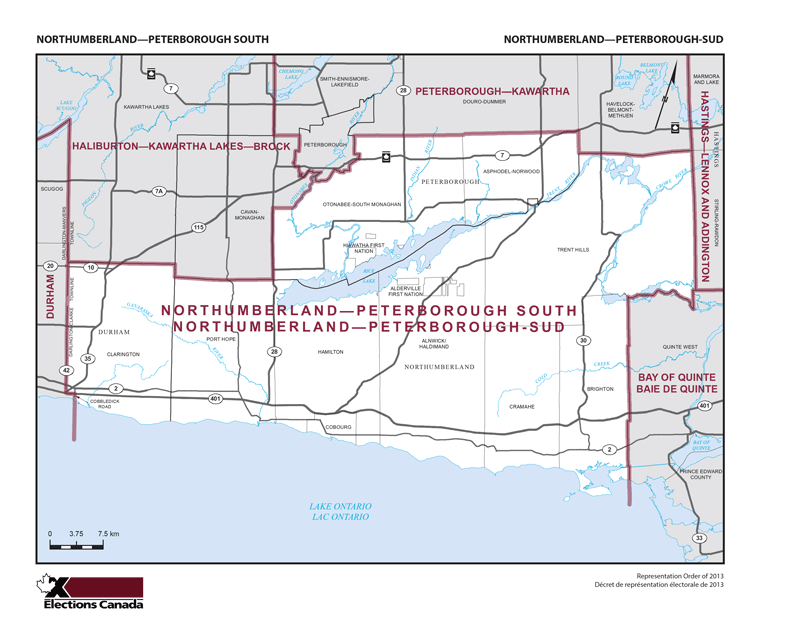 As a member of Community Power Northumberland and director of Community Housing Northumberland, Patricia advocates for sustainable communities, energy from renewables and affordable housing for all residents of Northumberland-Peterborough South. Rich Tyssen has more than 30 years experience in business development and project management in residential construction. He also has a decade of experience in public policy development, working in both the not-for-profit co-operative housing sector and for the Ontario Ministry of Health. More recently he has developed several microFIT solar projects and helped organize three solar buying groups. He has a BA in social sciences, and a Masters in Environmental Sciences. He helped found Go Green Together and Community Power Northumberland in Northumberland County and Sustainable Cobourg in Cobourg, Ontario. In 2010 he received the Environmental Award from the Town of Cobourg. Jeff Wheeldon is the International Affairs Critic for the Green Party of Canada, and was a candidate in the 2015 federal election. He has worked in both blue- and white-collar jobs, from driving trucks and factory work to higher education administration and real estate. He holds a Master of Arts degree, and his thesis focused on institutional structures and ethics. He has travelled the world, but is always happy to come home to Canada. He lives in Brighton with his wife and two sons, where he enjoys attending concerts in the park and reading about good ideas that make the world better.